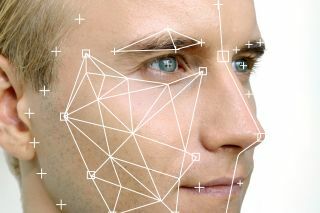 Businesses across a variety of sectors have adopted facial recognition to improve their customers' lives. Dan Maunder, CTO of Picsolve, discusses five innovative uses of facial recognition technology being used to improve consumers’ lives. Much like a fingerprint, our faces are instantly recognisable, and their unique characteristics can be used to verify our identity. In recent years, technological developments have allowed a number of companies, organisations and governments to use facial recognition to enhance existing services or create brand new ones – in the process bringing greater convenience to consumers and other benefits to broader society. Facial recognition has been on the periphery of mainstream culture for a considerable amount of time, and now that technology has made it a reality, it is not hard to envisage a world where an individual’s face is the primary way to identify themselves. These developments will be central to customer relations and brand engagement across a wide variety of industries. Facial recognition affords consumers to have a more ‘hands off’ relationship with technology, meaning their interactions have a greater organic feel. The most recent mainstream adoption of facial recognition has been its inclusion in Apple’s iPhone X. After setting the foundations for the removal of numbered passcodes through the introduction of fingerprints, Apple’s latest biometric tech lets users unlock their phones with just a glance, as well as make payments. Apple’s complex application of the technology is thorough. Modern technology is sometimes hampered by factors that may appear simple but can actually cause considerable disruption to how they function. For example, on a frosty morning, a gloved consumer may be unable to use their fingerprint to unlock their phone or make a payment for a much-needed coffee. Here, facial recognition is ideal for unlocking their phone for usage, but only if it is able to compensate for facial obstructions, such as a hat, scarf or ear warmers. The iPhone X, which uses 3D sensors and infra-red cameras to detect depth, recognises and adapts to all these potential issues – even being able to recognise natural changes through ageing. Owing to a wide range of stakeholders, airport expansions are notoriously difficult. In response to this, airports are forced to find innovative ways of streamlining increasing passenger numbers. Business travellers and holidaymakers can often be found bemoaning security as the most time-consuming section of a holiday – but Dubai’s International Airport has a novel approach to this issue. In collaboration with Emirates, the airport has created a walk-in video tunnel, capable of displaying changing landscapes, such as an aquarium, a desert or simply advertisements. The aim of these varied landscapes is to encourage visitors look at different sections, allowing the 80 inbuilt cameras to view the faces of travellers from various angles and identify them accordingly through facial recognition and iris scanning. At the end of the tunnel, visitors will either pass through or be stopped for further checks. Identifying rare genetic diseases is an extremely difficult practice. Amongst diverse populations, such as those of African, Asian or Latin American heritage, this can be especially challenging. One such disease that manifests itself in these populations is 22q11.2 deletion syndrome, otherwise known as DiGeorge syndrome or velocardiofacial syndrome. Its symptoms include learning difficulties, heart defects, cleft palate and altered facial characteristics, making it notoriously difficult to diagnose. However, using facial recognition technology, researchers were able to compare 156 Africans, Latin Americans, Asians and Caucasians with DiGeorge syndrome against those without the disease. The technology was able to make the correct diagnosis for all 96.6% of the ethnic groups. As the technology improves, it is hoped that is could be incorporated into a clinician’s arsenal of devices used to identify diseases at early stages. It is hoped that doctors will be able to send images off for immediate analysis, thus improving the speed and quality of healthcare all over the world. The billboards at Piccadilly Circus are one of London’s most iconic landmarks. When they were switched off for nine months in 2017, the first extended period since 1949, many were expecting a simple refurbishment or replacement, not a complete overhaul of the technology. Previously, the billboards were six standard individual screens, incapable of anything more than standard displays. The new technology uses just one screen, shared and split into sections by different brands as per their advertising agreements. The innovation here is that the 4k screen, which produces 281 trillion colours, is now able to adapt to its environment, responding to real-time information it views, such as the weather or colour of cars. The incorporated facial recognition technology means that brands will be able to trigger tailored advertisements. For example, one of the advertisers, premium boot maker, Hunter, will be able to adjust which of their range to display. This would be particularly useful for the typically rainy British music festival season. For years, the traditional role of photography partners to the leisure industry has involved visitors queuing at booths to view and purchase their captured content. But today, next generation facial recognition technology can provide a seamless user experience at visitor destinations like theme parks, casinos or sports stadia. Rather than queue up, the technology can identify visitors at various capture points at their chosen destination. Users just need to upload a photo or selfie to identify themselves, and then the platform can capture, collate, organise and present them with their own digital album of their latest content, which can be found within an app. This gives consumers the opportunity to instantly purchase and share on social media at any point during or after their visit. Alongside creating a seamless consumer journey, it also allows companies to reposition staff in more personal, customer facing roles, helping to enhance the visitor experience. The increase in the adoption of facial recognition technology across a variety of sectors can still sometimes seem like science fiction, but in many cases, it’s really helping to improve consumers’ day-to-day lives – in terms of security, health and convenience. And as the technology improves, we’ll no doubt see it further incorporated into situations that would have seemed unimaginable a few years ago. Soon, struggling to find a password will be a thing of the past.